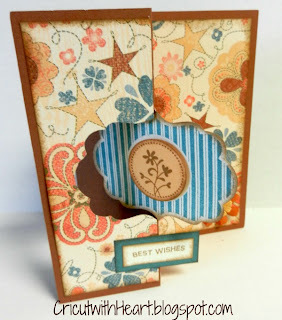 I got to play with my daughter and new downline, Jenni, yesterday and we created this wonderful Swing card with the new Clementine papers. This is one of my favorite new paper packs! I LOVE how this cut on the Artiste cartridge works perfectly with the new Perfect Fit-Frames stamp set. There is a card for each frame in the set. 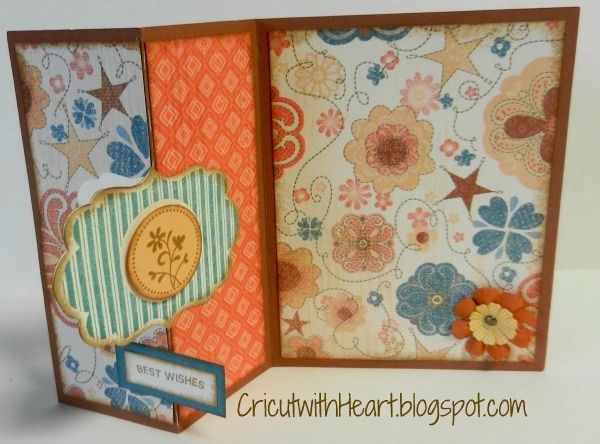 Just cut your card on the cricut and stamp, so easy!! !